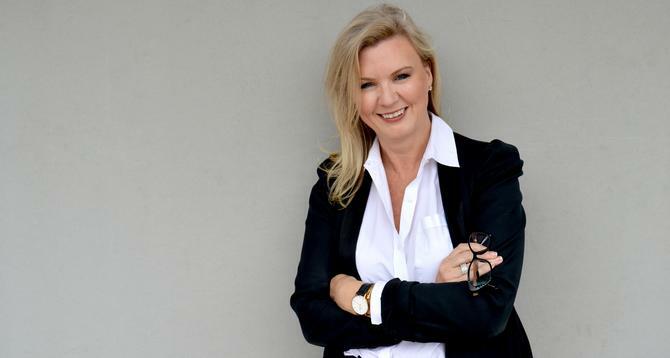 There’s a transformation going on at Carsales, and CMO, Kellie Cordner, is playing an instrumental role in ensuring it’s a customer-led one. Over recent months, the online media site has embarked on a significant segmentation study to better understand the needs of end consumers using attitudinal and behavioural insights. For Cordner, building out these six broad segments will help the organisation line itself up to not only run marketing activities more effectively and improve content output, but to also design and build products that better serve customers. “There is no end of great ideas, but which ones do we chase down and which are material to removing those pain points along the journey? That has come from marketing driving our segmentation studies,” she tells CMO. The segments are due to launch in the New Year internally and will be supported by what Cordner is calling a “consumer academy” training program for all staff. The segmentation effort is part a wider ambition to “humanise” the Carsales brand. “Our brand is our biggest asset, our sustainable advantage, so we have to drive that human connection,” Cordner says. “We get that the process of buying and selling your car will include moments of frailty, and times when as consumers, you’re not sure what’s going on or if you know everything you need to know. While the brand has been very successful, it’s also very rational and factual, proof point-based and lacked an element of warmth, Cordner says. Thanks to the segmentation work, Cordner says the team knows certain parts of its offering, such as tools, tips and services, mean different things to different people depending on their level of confidence. Off the back of this, the team has designed a range of data-driven campaigns and videos that it now can dial up or down based on where consumers sit in terms of behaviour and segment. On top of this, Cordner says there’s been a pivot in and around the content on the site to be more universally appealing. “We had quite a masculine tone, yet most females drive a car, and Carsales has the biggest female audience of any automotive website,” she says. “We’re opening that up, as it needs to be unisex. We also need to find way to talk to consumers outside of that 3-5 years cycle of buying and selling cars. The focus is on how to have a legitimate conversation that keeps the warmth in the brand, and so it’s a purpose, not a passion. Cordner has a brand marketing background and defines herself as a commercial marketer. In the early part of her career, she spent eight years in product management and strategy, working in classifieds with Sensis. She then spent the next five years in retail with Priceline, Myer and several smaller brands, working to pivot traditional businesses to omni-channel experience providers. She says she was attracted to Carsales because of its heritage as a classifieds website, as well as the opportunity to apply the principles of retailing to the digital offering. “Bringing that retail experience and serving the customer is a big part of the remit and how I’ll judge my success,” Cordner says. Another reshuffle earlier this year was to make digital a universal component of every marketer’s job description across the Carsales business. “We had traditional marketing skillsets such as brand specialists or SEM, and digital was sometimes considered the black marketing,” she says. “While we have an amazing group of digital specialists, I was conscious we needed to drop the word ‘digital’ because it’s all marketing now. We made a conscious decision about that, and it was a bit uncomfortable for some, but then we’ve backed it with training and immersion. At Carsales, marketing is wholly and solely accountable for visits to the websites, and Cordner says it’s moving away from pure visitation to focus on the customer lifetime value. “The team knows they’re not the ones spending the money, they’re the ones making the money. We bring the party to the door,” she says. “That has been a real shift – it’s less about money we spent and ROI, and more about visitation, conversions, and getting whole marketing group looking and talking about these numbers. For Cordner, being the CMO is also increasingly about being an organisation’s chief collaboration officer. As an example, she notes the co-operative relationship that exists between marketing and editorial teams. Going into 2017, Cordner’s priorities include assisting and optimising Carsales’ marketing capability as it expands globally. This includes looking at what elements of the brand should be introduced in those markets to drive consistency. When it comes to what it takes to be a CMO, Cordner says one attribute that’s never changed is confidence and resilience. “It needs to be at your core as a marketer,” she says. Cordner’s second top skill is being accountable. “We have to tie what we do back to numbers. I’m very comfortable I know exactly what my team and I contribute to the organisation and how that’s quantified,” she says.